Heavy duty Winding Rewinding Machine with high quality equipment, 28 types of different Winding Rewinding Machine for various applications. Winding Rewinding Machine on custom application and client’s requirement. 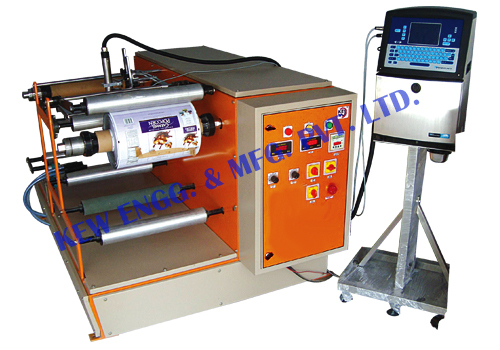 Winding Rewinding Machine with slitting system and inkjet printer for batch coding and many more features and technology. Cantilever design balancing body for easy loading and unloading of parent / rewound reel. Movable unwind stage for Edge guiding System, web guiding system (Hydraulic Web Aligner).